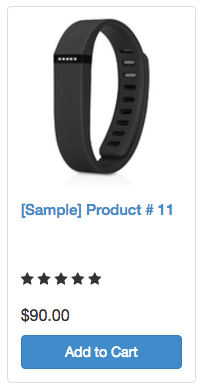 Review stars for the item, providing users with a quick way to see the product's popularity. 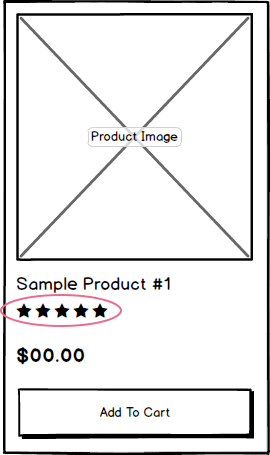 By default the product thumbnails can't get the products reviews, but we can give the [&percnt;thumb_list&percnt;] function a parameter to allow the thumbnails to get the reviews. The review stars will only show if the product has one or more reviews by previous customers. If there are zero reviews, "Not Yet Rated" will show instead.